Students at Acaciawood Preparatory Academy are preparing for college in every way possible. Varsity Driving Academy is here to help prepare by teaching students how to drive. We offer services that go above and beyond the call of normal driving schools. We also make learning how to drive easier for everyone. Find out more about the services we offer below and then sign up for classes today! Welcome to Varsity Driving Academy Acaciawood Preparatory Academy Driving School! Students at Acaciawood Preparatory Academy can use our free pick-up and drop off service to take out some of the stress from learning how to drive. Preparing for college is a very time-consuming task for students. Most students just don’t have the time to add learning how to drive to their to-do lists. 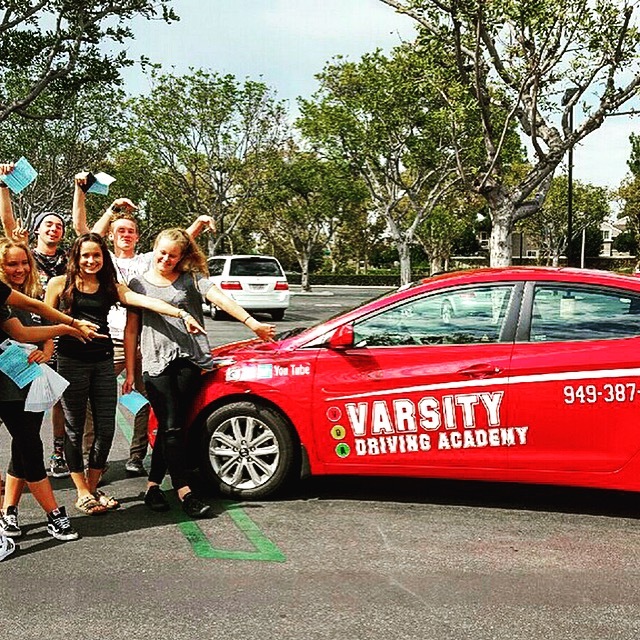 Varsity Driving academy gives students the flexibility to add learning how to drive wherever it fits in their schedule. After students have signed up for our services, they will create a username and password. Students will then have the flexibility to log in and learn when they have time. When other tasks come calling, students can leave and come back when they have time. All progress is saved and students will start off where they left off before each time they sign in to class. It’s just that easy with Varsity Driving Academy. While behind the wheel training does require a block of time during the day, we try to make this step just as easy as the first. Students will be able to schedule their sessions with a trainer whenever they see fit. Each session is with a trained professional and no one else in the vehicle. We feel this one-on-one time with a trainer lets students feel confident in asking questions. To make things even easier, we offer our free pick-up and drop-off services for each session. We will pick students up prior to the session and drop them off where they need to go next after the session. In order to go above and beyond, we offer a range of packages to our students, one of which is our DMV Package. Students who choose our DMV package get the basics like online learning, behind the wheel training, access to our pick-up and drop-off services. But with the DMV Package, we also act as a concierge with the DMV. We will call and schedule appointments on behalf of the student with the DMV. When it’s time to take the final test we will pick students up and take them to the DMV. Students will also have access to our safe vehicles for the driving test. Please contact us for more information regarding our utilities at (949) 387-4400.